Certain OSHA standards require a formal written program. Custom Safety Services, LLC can either write the program or educate the client on the written program requirements for client implementation. 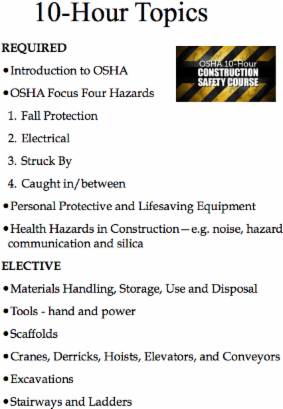 We offer employee training designed to meet the specific requirements of an individual OSHA Standard. 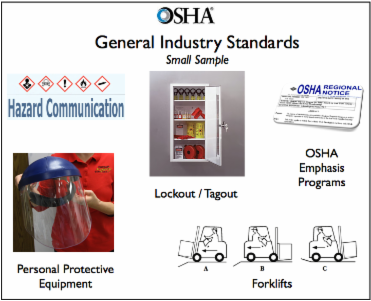 Each OSHA Standard has specific training requirements which must be met in order to meet the training component of an individual standard. 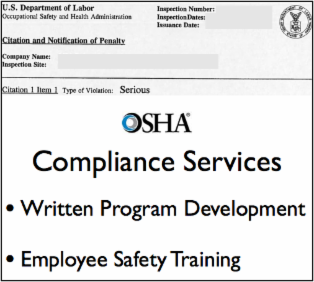 Provides attendees with an overview of the specific requirements of an OSHA standard. This training is ideal for management, safety committee members or the general employee population. Outreach training is required for all workers on publicly funded construction projects located in New York, Connecticut, Rhode Island, Massachusetts, Missouri and New Hampshire. In addition, New York requires this training for all construction projects 10 stories or higher. This course is designed to train workers in the basics of construction safety and health hazard recognition and follows the guidelines set forth by the Occupational Safety and Health Administration (OSHA). Upon successful course completion, attendees receive a completion card. New York requires that all cards reflect training completion every five (5) years.